From Innovative PE programs to outfitting your campus fitness center, SCIFIT has the solution for your school. In the ongoing battle against childhood obesity, SCIFIT is making it fun and easy for more kids to get active and stay active. 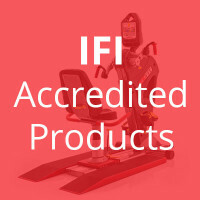 SCIFIT products are easily accessible and easy to use, allowing children of all abilities to benefit from exercise. Our programs can help increase participation in PE classes and help instructors track progress. Adding SCIFIT to your campus fitness center allows you to serve a more diverse student population. Our equipment is made for students of all levels and abilities. Durable and reliable SCIFIT equipment is ideal for the demanding student environment. SCIFIT makes a wide variety of products with a focus on upper body only, lower body only, and total body movements. The following products are preferred products by students and faculty. Enter your email address to download the Schools market guide.